If you’re a military history enthusiast or just casual visitor, you’ll find plenty to discover at the National Museum of the Pacific War. One of the most comprehensive collections of historical items from the Pacific Theater of World War II are housed within six acres right in the heart of Fredericksburg, Texas. 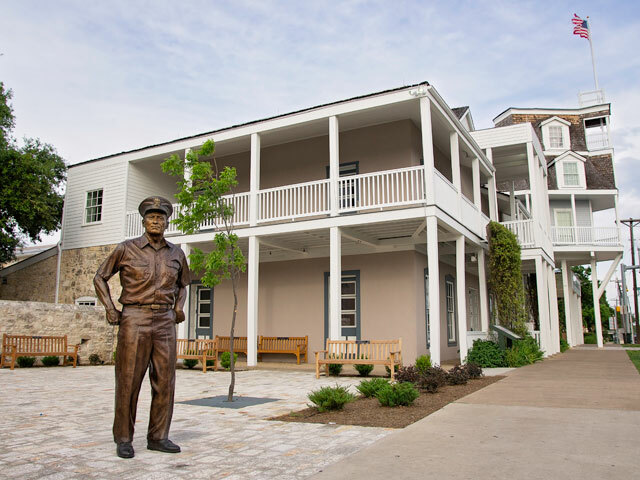 Visit the museum and you’ll learn about the causes, events, and impacts of World War II in the Pacific, as well as the life and achievements of Fredericksburg native Admiral Chester W. Nimitz. All of this history is showcased in the National Museum of the Pacific War’s exhibits, the likes of which you can find out more about below. Experience the life and career of Admiral Nimitz, one of the more prominent figures of World War II who was born and raised in Fredericksburg. The stately building that houses the museum has been a town landmark since it was built in the late 1800’s. At first, it was the Nimitz Steamboat Hotel owned and operated by the admiral’s grandfather, Charles Henry Nimitz Sr. After the war, it was restored and converted to be the main building of the museum before it expanded to the six-acre complex it is today. 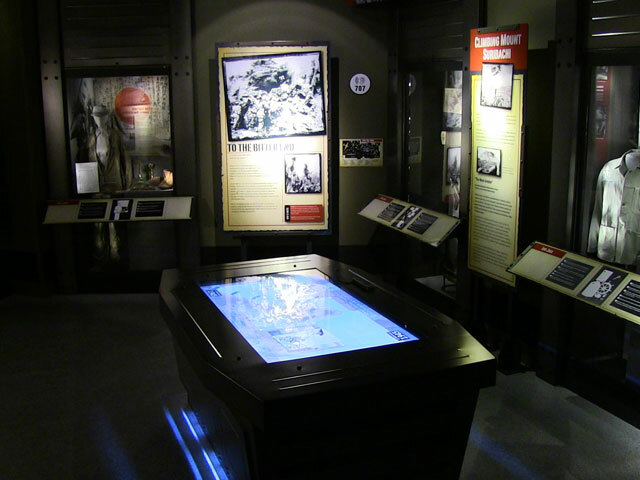 Along with the exhibits detailing Nimitz’s experiences and accomplishments, the museum includes the Cailloux Education Center and the Admiral Nimitz Grand Ballroom and Mezzanine. See a restored PT boat that served in World War II, get an up-close look at one of the most famous aircraft of the war, and more at the Pacific Combat Zone, one of the museum’s most popular attractions. This two-acre indoor/outdoor exhibit features a variety of immersive displays, including an enormous to-scale map of the Pacific Theater that is the first thing you’ll see when you enter the zone. Continue through the exhibit area and you’ll encounter a PT boat as its equipping for its next mission, as well as a TBM Avenger torpedo bomber that resides within an area made to look like the deck of an aircraft carrier. While you’re there, test your skills at one of the table top games where you can launch torpedoes at enemy ships, man an anti-aircraft gun, and help your pilot land safely on the deck. In the spring of 2017, the Pacific Combat Zone will take immersion to the next level as it starts hosting living history demonstrations at its Pacific Battlefield. The shock of the Japanese attack on Pearl Harbor, and the significant events that followed, are dramatically retold at the George H.W. Bush Gallery. Step into the modern, and massive, exhibit hall and browse the stunning exhibits of officer’s uniforms, period art and propaganda, and rich media presentations of veteran testimonies. 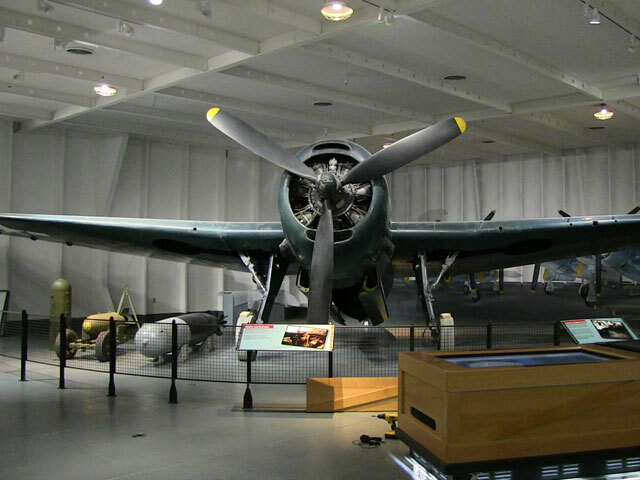 While exploring the gallery, you’ll even encounter displays of historic aircraft, artillery pieces, and a two-man Japanese sub that took part in the attack on Pearl Harbor. All of this tells the stories of the war on land, air, and sea, taking you from one island to another as you follow the conflict to its conclusion. 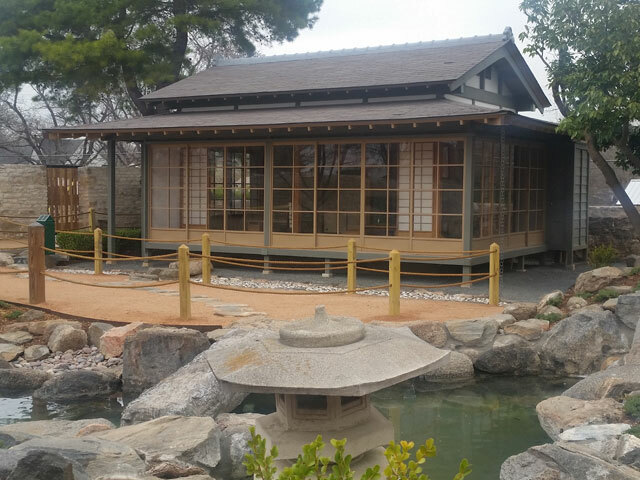 Take a moment to pause and reflect at the Japanese Garden of Peace, a tranquil part of the museum complex that has an interesting history of its own. The garden was built and donated in the 1970’s by the Japanese as a symbolic gesture of friendship to the American people. Walk along the scenic paths and you’ll see many things that may look alien to the Lone Star State, such as a Japanese-style house, a bamboo spring, and a stone garden. The meditative atmosphere provides a soothing counterpoint to the tragic history of the Pacific War and serves as a reminder of our shared humanity, making it an essential stop during your tour of the museum. Stroll through the Memorial Courtyard and you’ll get an idea of the human scale of the conflict. 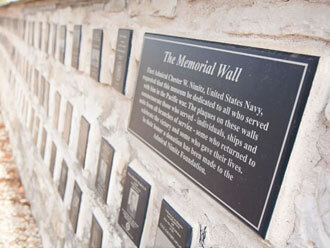 Thousands of plaques commemorating the individuals, units, and ships that served in the war are embedded into respectfully maintained 19th-century limestone walls. Each plaque features a short, and often meaningful, tribute to the hero who served in the war, often placed by the veteran’s relatives. Check out the Veterans’ Walk of Honor that winds through the courtyard to see paved bricks with even more tributes. The massive scale of World War II is also illustrated at the Plaza of Presidents, a stunning tribute to the 10 American presidents who served during the war. 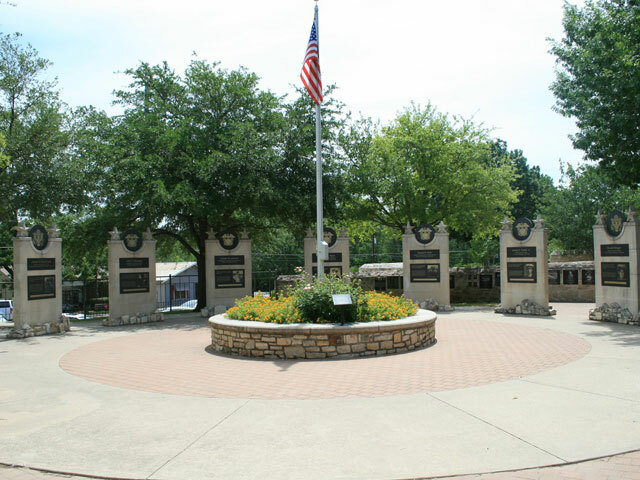 Bronze plaques embedded in stone monuments feature information about each president’s services during the war, including everyone from Franklin D. Roosevelt to George H.W. Bush. Plaza of Presidents sits right outside the George H.W. Bush Gallery and can be visited before or after entering the large exhibit hall.